Closeout. 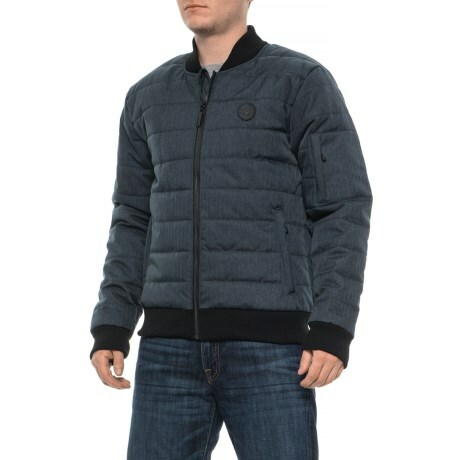 This Industry Supply Co bomber jacket offers a subtle stitched puffer shell and synthetic insulation for stylish warmth all winter long. Available Colors: BLACK MELANGE. Sizes: S, M, L, XL.